You are here: Home > Search for "sparitual"
WOW! We found 274 results matching your criteria. 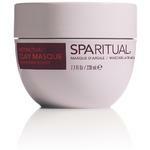 SpaRitual Look Inside Massage Creme | Moisturizes, Conditions and Promotes Relaxation - Indian Frankincense / 7.7 oz. 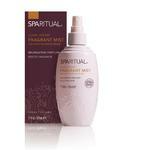 SpaRitual Look Inside Massage Creme | Moisturizes, Conditions and Promotes Relaxation - Indian Frankincense / 33 oz. SpaRitual Look Inside Scrub Masque | Exfoliating and Refining Duo - Indian Frankincense / 7 oz. SpaRitual Look Inside Scrub Masque | Exfoliating and Refining Duo - Indian Frankincense / 59.3 oz. SpaRitual Look Inside Bath Salts | Focus the Mind and Soothe the Body - Indian Frankincense / 7.7 oz. SpaRitual Look Inside Bath Salts | Focus the Mind and Soothe the Body - Indian Frankincense / 64 oz. SpaRitual Look Inside Body Lotion | Nourishes Body, Hands and Feet + Quenches Dry Skin - Indian Frankincense / 7.7 oz. SpaRitual Look Inside Body Lotion | Nourishes Body, Hands and Feet + Quenches Dry Skin - Indian Frankincense / 33 oz. SpaRitual Instinctual Sand Scrub | Exfoliate Dull Impurities and Improve Circulation - Indonesian Ginger / 7.7 oz. SpaRitual Instinctual Sand Scrub | Exfoliate Dull Impurities and Improve Circulation - Indonesian Ginger / 59 oz. SpaRitual Instinctual Clay Masque | Reclaims Skin's Revitalized Youthful Radiance - Indonesian Ginger / 7.7 oz. SpaRitual Instinctual Clay Masque | Reclaims Skin's Revitalized Youthful Radiance - Indonesian Ginger / 59 oz. SpaRitual Instinctual Body Lotion | Hydrating Therapy Blend - Indonesian Ginger / 7.7 oz. SpaRitual Instinctual Body Lotion | Hydrating Therapy Blend - Indonesian Ginger / 33 oz. SpaRitual Instinctual Body Butter | Deeply Hydrates the Skin - Indonesian Ginger / 7.7. oz. SpaRitual Instinctual Body Butter | Deeply Hydrates the Skin - Indonesian Ginger / 59 oz. SpaRitual Instinctual Bath Salts | Cleanse, Soften and Hydrate Skin - Indonesian Ginger / 7.7 oz. SpaRitual Instinctual Bath Salts | Cleanse, Soften and Hydrate Skin - Indonesian Ginger / 64 oz. SpaRitual Infinitely Loving Bath Salts | Calm and Uplift the Mind While Easing Muscle Tension - Chinese Jasmine / 7.7 oz. SpaRitual Infinitely Loving Bath Salts | Calm and Uplift the Mind While Easing Muscle Tension - Chinese Jasmine / 64 oz. 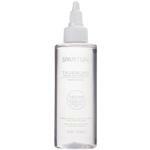 SpaRitual Infinitely Loving Soak Tonic | Softens and Restores Balance to the Skin - Chinese Jasmine / 7.7 oz. SpaRitual Infinitely Loving Soak Tonic | Softens and Restores Balance to the Skin - Chinese Jasmine / 33 oz. SpaRitual Infinitely Loving Body Butter | Conditions and Hydrates the Skin - Chinese Jasmine / 7.7 oz. 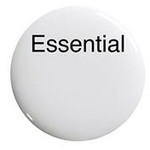 SpaRitual Infinitely Loving Body Butter | Conditions and Hydrates the Skin - Chinese Jasmine / 59 oz. SpaRitual Infinitely Loving Sugar Scrub | Soothes and Restores Dry Skin - Chinese Jasmine / 7.7 oz. SpaRitual Infinitely Loving Sugar Scrub | Soothes and Restores Dry Skin - Chinese Jasmine / 64 oz. SpaRitual Infinitely Loving Moisturizing Lotion | Deeply Moisturizes and Softens Dry Skin - Chinese Jasmine / 7.7 oz. SpaRitual Infinitely Loving Moisturizing Lotion | Deeply Moisturizes and Softens Dry Skin - Chinese Jasmine / 33 oz. SpaRitual Close Your Eyes Body Lotion | Hydrating Therapy Blend - Egyptian Geranium / 7.7 oz. SpaRitual Close Your Eyes Body Lotion | Hydrating Therapy Blend - Egyptian Geranium / 33 oz. SpaRitual Close Your Eyes Bath Salts | Helps to Calm the Mind and Reduce Feelings of Anxiety - Egyptian Geranium / 7.7 oz. 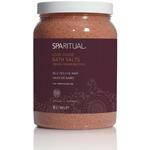 SpaRitual Close Your Eyes Bath Salts | Helps to Calm the Mind and Reduce Feelings of Anxiety - Egyptian Geranium / 64 oz. 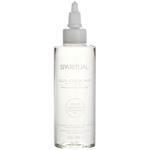 SpaRitual Close Your Eyes Soak Tonic | Softens and Restores Balance to the Skin - Egyptian Geranium / 7.7 oz. 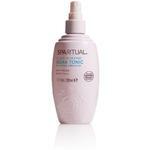 SpaRitual Close Your Eyes Soak Tonic | Softens and Restores Balance to the Skin - Egyptian Geranium / 33 oz. SpaRitual Close Your Eyes Organic Sugar Scrub | Gently Exfoliates, Moisturizes and Smoothes the Skin - Egyptian Geranium / 7.7 oz. SpaRitual Close Your Eyes Organic Sugar Scrub | Gently Exfoliates, Moisturizes and Smoothes the Skin - Egyptian Geranium / 64 oz. SpaRitual Affirming Scrub Masque | Exfoliating and Refining Duo - Indonesian Ginger / 7 oz. SpaRitual Earl Grey Nourishing Body Souffle | Deeply Moisturizing and Hydrating / 3.4 oz. 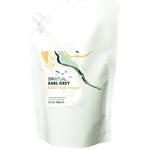 SpaRitual Earl Grey Nourishing Body Souffle | Deeply Moisturizing and Hydrating / 33.8 oz. SpaRitual Earl Grey Teatox Body Masque | Deeply Nourishing and Detoxifying / 33.8 oz. SpaRitual Earl Grey Oil Salve | Full Body Moisturizer + Intense Treatment for Dry, Cracked Heels / 3.4 oz. SpaRitual Earl Grey Oil Salve | Full Body Moisturizer + Intense Treatment for Dry, Cracked Heels / 8.5 oz. SpaRitual Vegan Nourishing Sugar Scrub | Scrubs Away Impurities for Silky Smooth Skin - Passionfruit Agave / 7.7 oz. SpaRitual Vegan Nourishing Sugar Scrub | Scrubs Away Impurities for Silky Smooth Skin - Passionfruit Agave / 64 oz. SpaRitual Vegan Nourishing Body Souffle | Hydrates Deeply and Softens Skin - Passionfruit Agave / 3.4 oz. SpaRitual Vegan Nourishing Body Souffle | Hydrates Deeply and Softens Skin - Passionfruit Agave / 59 oz. SpaRitual Vegan Nourishing Oil for Body + Hair | Soothes and Softens - Passionfruit Agave / 7.7 oz. SpaRitual Vegan Nourishing Oil for Body + Hair | Soothes and Softens - Passionfruit Agave / 33 oz. SpaRitual Vegan Exfoliating Cleansing Oil for Body | Leaves Skin Silky Smooth, Moisturized and Nourished - Passionfruit Agave / 3.4 oz. SpaRitual Vegan Exfoliating Cleansing Oil for Body | Leaves Skin Silky Smooth, Moisturized and Nourished - Passionfruit Agave / 8.6 oz. SpaRitual Handprint Hand Serum | Restores skin's Elasticity, Soft Texture and Complexion / 1 oz. 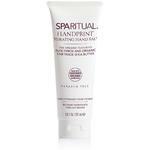 SpaRitual Handprint Hand Serum | Restores skin's Elasticity, Soft Texture and Complexion / 4 oz. SpaRitual Handprint Hand Salve for Slow Aging | Promotes Skin Regeneration / 1.7 oz. SpaRitual Handprint Hand Salve for Slow Aging | Promotes Skin Regeneration / 8.5 oz. 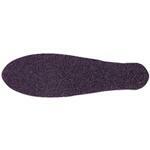 SpaRitual Sole Mate Callus Remover | Helps Dissolve Thick, Callused Skin / 4 oz. SpaRitual Sole Mate Callus Remover | Helps Dissolve Thick, Callused Skin / 16 oz. SpaRitual Solemate Foot Balm | Hydrates, Softens, Repairs and Protects / 3.4 oz. 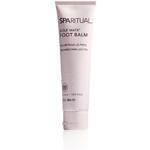 SpaRitual Solemate Foot Balm | Hydrates, Softens, Repairs and Protects / 8.5 oz. 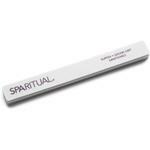 SpaRitual Cuti-Clean Cuticle Care - Cuticle and Stain Remover / 0.5 oz. 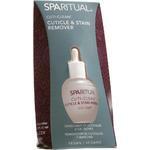 SpaRitual Cuti-Clean Cuticle Care - Cuticle and Stain Remover / 4 oz. SpaRitual Cuti-Cocktail - Nail and Cuticle Oil / 0.5 oz. 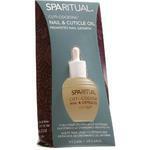 SpaRitual Cuti-Cocktail - Nail and Cuticle Oil / 4 oz. SpaRitual Farewell Fungus Treatment - For Clear and Healthy Nails / 0.5 oz. 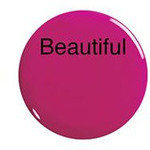 SpaRitual Nail Lacquer Thinner / 2 oz. SpaRitual Fluent Extra Strength Conditioning Lacquer Remover / 4 oz. SpaRitual Fluent Extra Strength Conditioning Lacquer Remover / 16 oz. 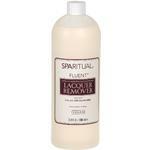 SpaRitual Fluent Extra Strength Conditioning Lacquer Remover / 33.8 oz. SpaRitual Multi-Tasker Basecoat & Topcoat / 0.17 oz. SpaRitual Multi-Tasker Basecoat & Topcoat / 0.5 oz. SpaRitual Nutri-Thick Strengthening Basecoat for Thin Nails / 0.5 oz. SpaRitual Body Serum for Slow Aging / 4 oz. 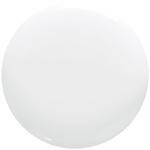 SpaRitual Moisture Balm | Soothes Dry, Over-Stressed Skin / 0.42 oz. SpaRitual Truebond Manicure System for Longer Lasting Wear - STEP 1 Primer for Natural Nails / 0.5 oz. 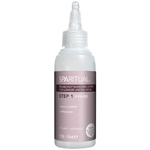 SpaRitual Truebond Manicure System for Longer Lasting Wear - STEP 1 Primer for Natural Nails / 4 oz. 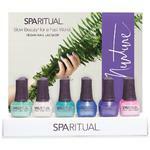 SpaRitual Truebond Manicure System for Longer Lasting Wear - STEP 2 Strong Hold Basecoat / 0.5 oz. 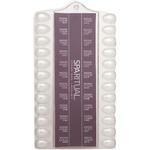 SpaRitual Truebond Manicure System for Longer Lasting Wear - STEP 2 Strong Hold Basecoat / 4 oz. 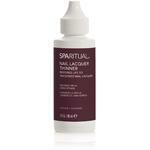 SpaRitual Truebond Manicure System for Longer Lasting Wear - STEP 3 Strong Hold Topcoat / 0.5 oz. 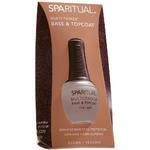 SpaRitual Truebond Manicure System for Longer Lasting Wear - STEP 3 Strong Hold Topcoat / 4 oz. SpaRitual Visionary Cleanser | Manicure, Pedicure and Environment Sanitizer with French Juniper Berry / 8 oz. SpaRitual Visionary Cleanser | Manicure, Pedicure and Environment Sanitizer with French Juniper Berry / 16 oz. 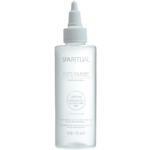 SpaRitual Andale Dry and Shine Drops / 0.5 oz. 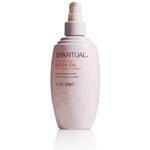 SpaRitual Andale Dry and Shine Drops / 4 oz. SpaRitual Exhale Collection - Calm / 0.5 oz. 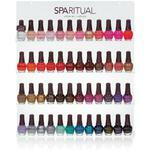 SpaRitual Exhale Collection - Liberation / 0.5 oz. SpaRitual Exhale Collection - Unleash / 0.5 oz. SpaRitual Exhale Collection - Vitality / 0.5 oz. SpaRitual Exhale Collection - Wisdom / 0.5 oz. 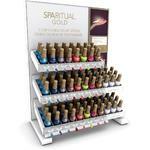 SpaRitual GOLD Flexible Top Coat - Part of the SpaRitual GOLD 2 Step Flexible Color™ System / 0.5 oz. SpaRitual Gold Essential Nail Lacquer - Part of the SpaRitual GOLD 2 Step Flexible Color™ System / 0.5 oz. 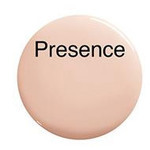 SpaRitual Gold Presence Nail Lacquer - Part of the SpaRitual GOLD 2 Step Flexible Color™ System / 0.5 oz. 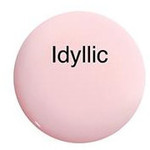 SpaRitual Gold Idyllic Nail Lacquer - Part of the SpaRitual GOLD 2 Step Flexible Color™ System / 0.5 oz. 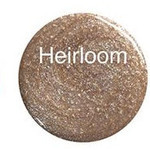 SpaRitual Gold Heirloom Nail Lacquer - Part of the SpaRitual GOLD 2 Step Flexible Color™ System / 0.5 oz. 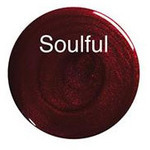 SpaRitual Gold Soulful Nail Lacquer - Part of the SpaRitual GOLD 2 Step Flexible Color™ System / 0.5 oz. 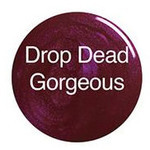 SpaRitual Gold Drop Dead Gorgeous Lacquer - Part of the SpaRitual GOLD 2 Step Flexible Color™ System / 0.5 oz. 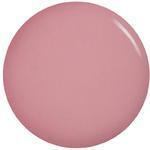 SpaRitual Gold Sensual Nail Lacquer - Part of the SpaRitual GOLD 2 Step Flexible Color™ System / 0.5 oz. SpaRitual Gold Eternal Nail Lacquer - Part of the SpaRitual GOLD 2 Step Flexible Color™ System / 0.5 oz. 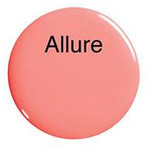 SpaRitual Gold Allure Nail Lacquer - Part of the SpaRitual GOLD 2 Step Flexible Color™ System / 0.5 oz. 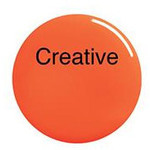 SpaRitual Gold Creative Nail Lacquer - Part of the SpaRitual GOLD 2 Step Flexible Color™ System / 0.5 oz. SpaRitual Gold Last Tango Nail Lacquer - Part of the SpaRitual GOLD 2 Step Flexible Color™ System / 0.5 oz. 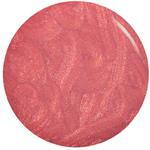 SpaRitual Gold Beautiful Nail Lacquer - Part of the SpaRitual GOLD 2 Step Flexible Color™ System / 0.5 oz. 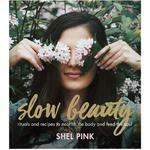 SpaRitual Gold Empowered Nail Lacquer - Part of the SpaRitual GOLD 2 Step Flexible Color™ System / 0.5 oz. 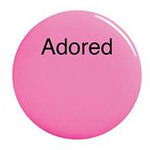 SpaRitual Gold Adored Nail Lacquer - Part of the SpaRitual GOLD 2 Step Flexible Color™ System / 0.5 oz. 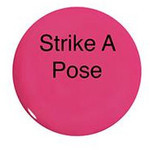 SpaRitual Gold Strike A Pose Nail Lacquer - Part of the SpaRitual GOLD 2 Step Flexible Color™ System / 0.5 oz. SpaRitual Gold Beloved Nail Lacquer - Part of the SpaRitual GOLD 2 Step Flexible Color™ System / 0.5 oz. 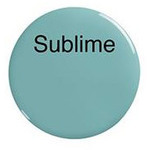 SpaRitual Gold Sublime Nail Lacquer - Part of the SpaRitual GOLD 2 Step Flexible Color™ System / 0.5 oz. SpaRitual Gold Mindful Nail Lacquer - Part of the SpaRitual GOLD 2 Step Flexible Color™ System / 0.5 oz. SpaRitual Gold Artistic Nail Lacquer - Part of the SpaRitual GOLD 2 Step Flexible Color™ System / 0.5 oz. SpaRitual Gold Shrewd Nail Lacquer - Part of the SpaRitual GOLD 2 Step Flexible Color™ System / 0.5 oz. 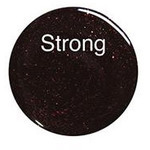 SpaRitual Gold Strong Nail Lacquer - Part of the SpaRitual GOLD 2 Step Flexible Color™ System / 0.5 oz. 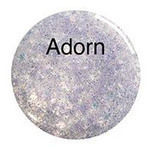 SpaRitual Gold Adorn Nail Lacquer - Part of the SpaRitual GOLD 2 Step Flexible Color™ System / 0.5 oz. 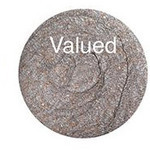 SpaRitual Gold Valued Nail Lacquer - Part of the SpaRitual GOLD 2 Step Flexible Color™ System / 0.5 oz. 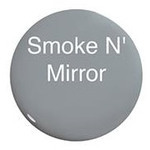 SpaRitual Gold Smoke N' Mirrors Nail Lacquer - Part of the SpaRitual GOLD 2 Step Flexible Color™ System / 0.5 oz. 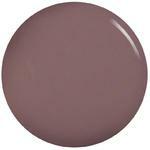 SpaRitual GOLD Unite Nail Lacquer - Part of the SpaRitual GOLD 2 Step Flexible Color™ System / 0.5 oz. 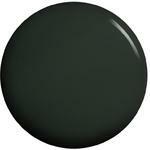 SpaRitual GOLD Take A Stand Nail Lacquer - Part of the SpaRitual GOLD 2 Step Flexible Color™ System / 0.5 oz. 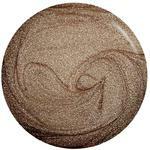 SpaRitual GOLD Rising Spirit Nail Lacquer - Part of the SpaRitual GOLD 2 Step Flexible Color™ System / 0.5 oz. SpaRitual Protein Boost for Brittle Nails / 0.5 oz. 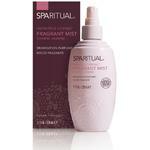 SpaRitual Close Your Eyes Fragrant Mist - Egyptian Geranium / 7.7 fl. oz. - 228 mL. SpaRitual Infinitely Loving Fragrant Mist - Chinese Jasmine / 7.7 fl. oz. - 228 mL. SpaRitual Instinctual Fragrant Mist - Indonesian Ginger / 7.7 fl. oz. - 228 mL. SpaRitual Look Inside Fragrant Mist - Indian Frankincense / 7.7 fl. oz. - 228 mL.